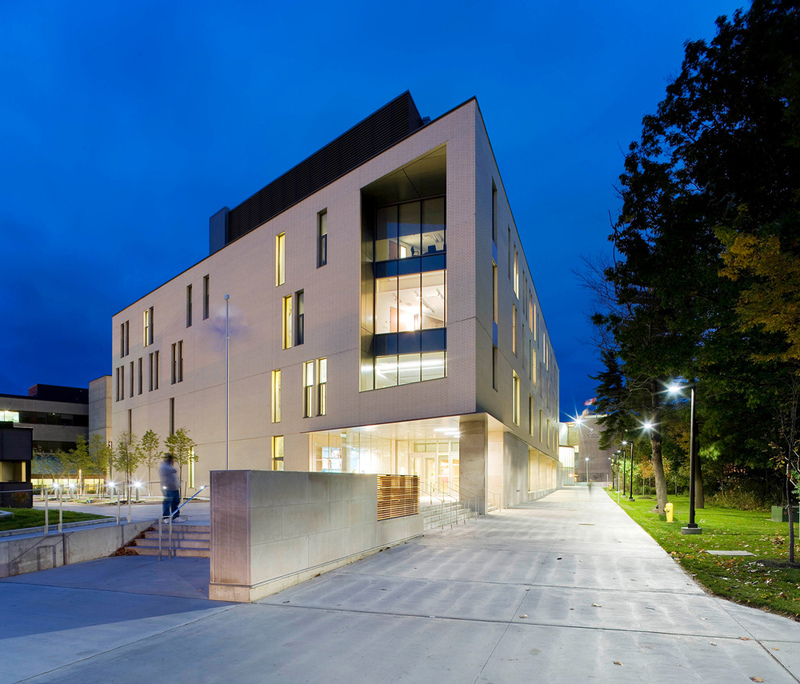 The Arts and Administration Building is a four-storey, multi-purpose academic facility occupying one of the most prominent sites on the UTSC campus. 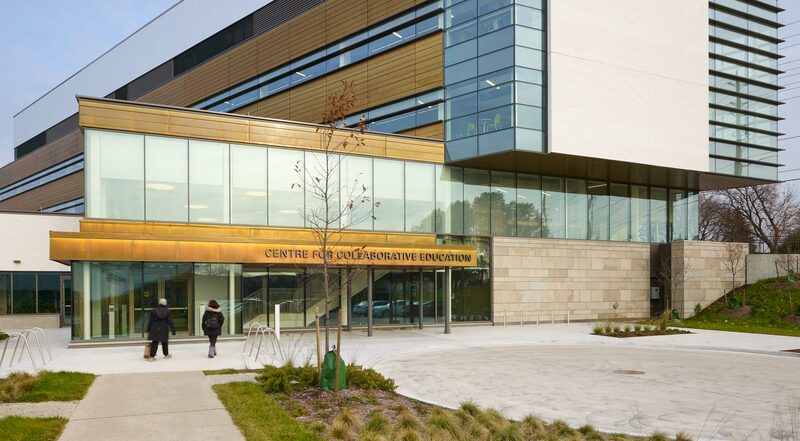 It houses the Welcome Centre, Registrar’s Office and Council Chamber along with a 300-seat lecture theatre, classrooms, studios, faculty offices, meeting rooms and series of administrative suites. 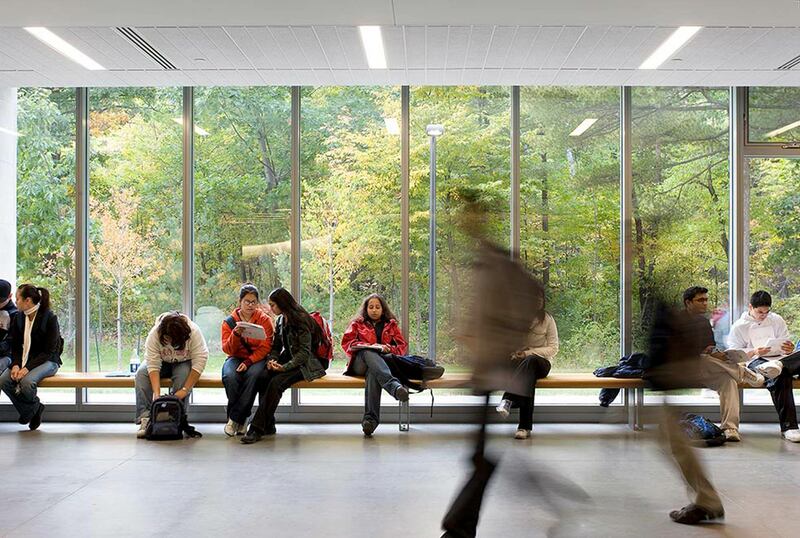 Informed by strong urban design directives, the design devotes considerable attention to the building’s edges and entry points to create places which students can easily pass through, feel comfortable in and gather at. 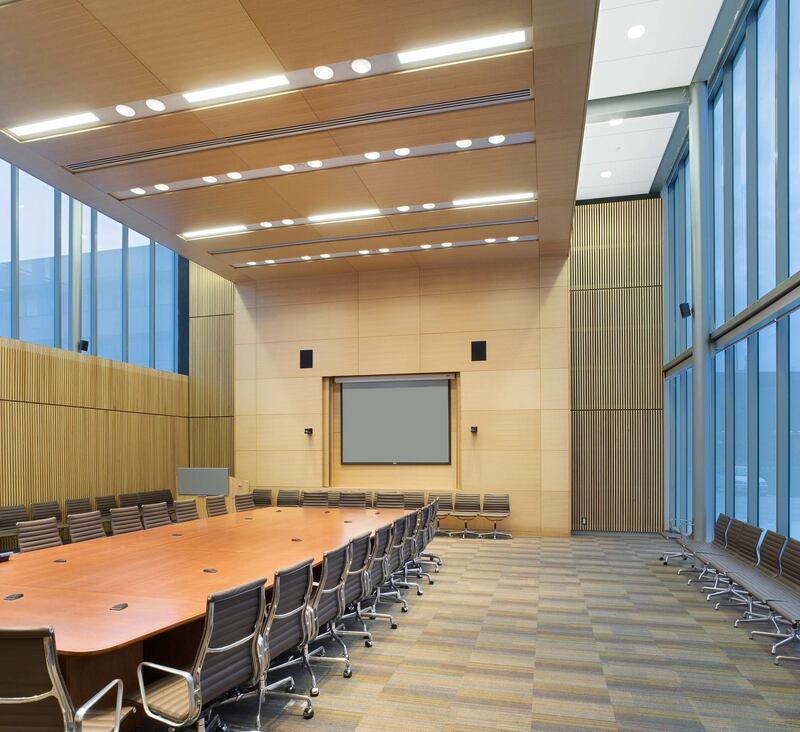 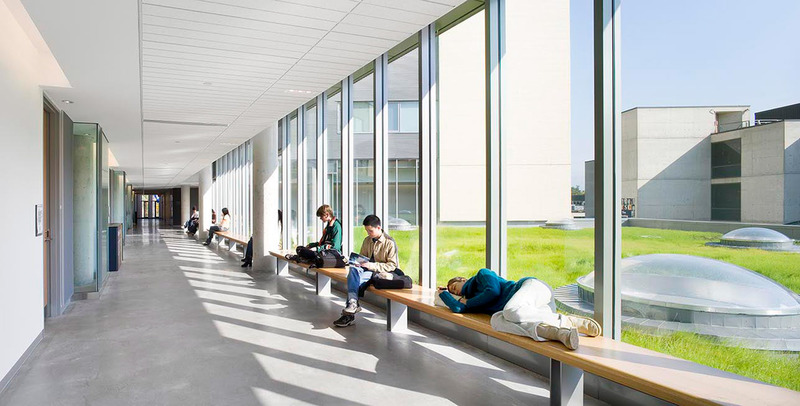 Areas considered building gross-up, such as atria, hallways and corridors, feature expansive windows, generous width, double height ceilings, and bench seating to maximize daylight and connections outdoors. 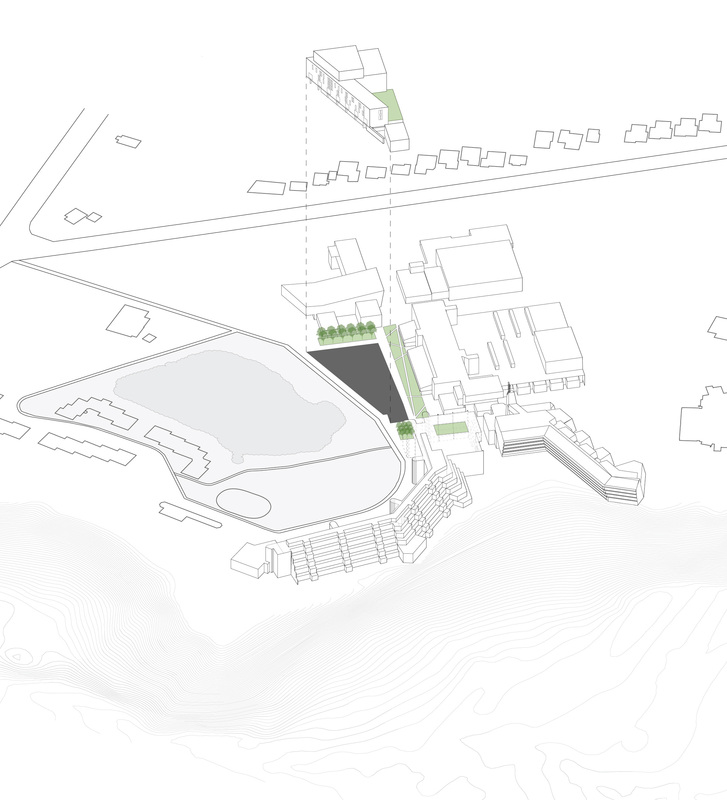 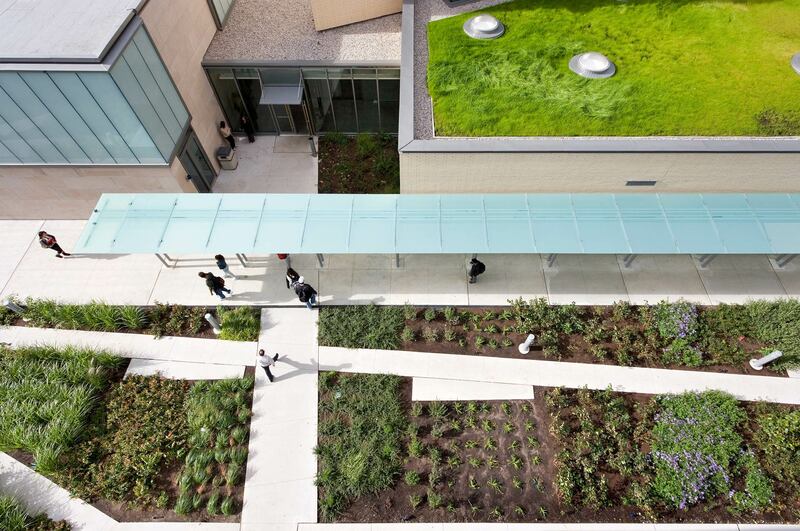 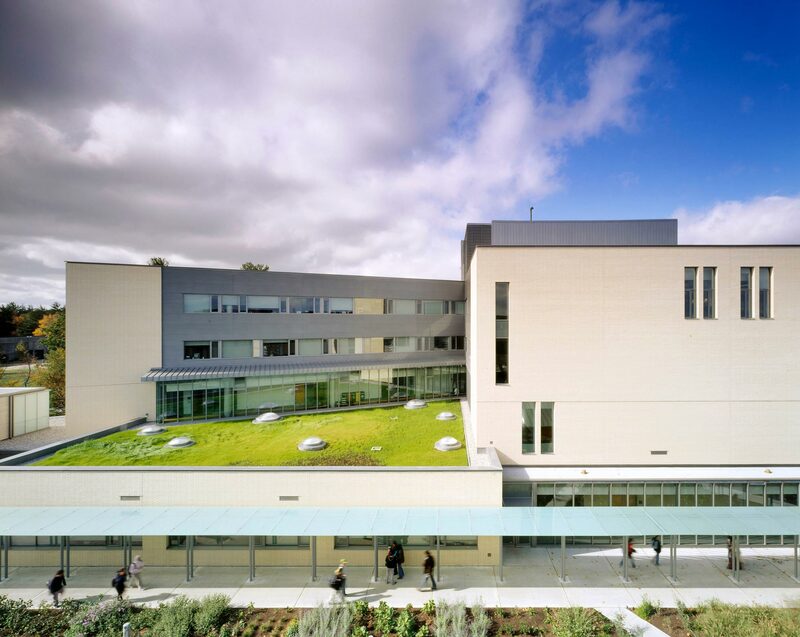 Skylights in the green roof provide supplementary daylight to the welcome centre and registration areas below. 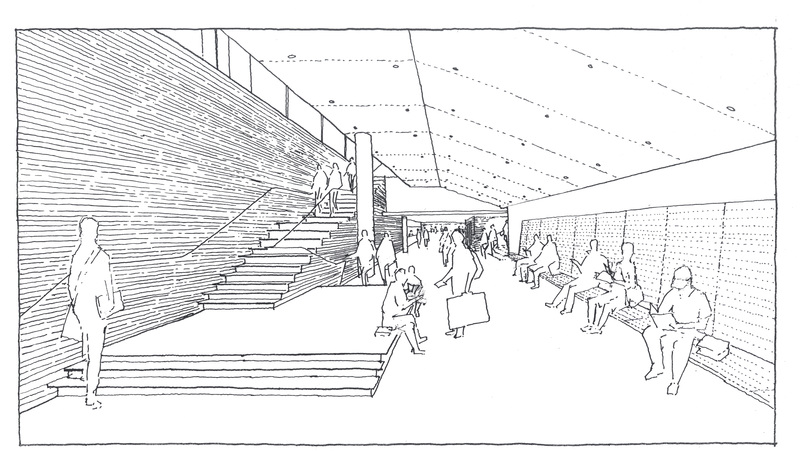 The ground floor is bracketed by a glass enclosed walkway to the west and a glass covered walkway to the east. 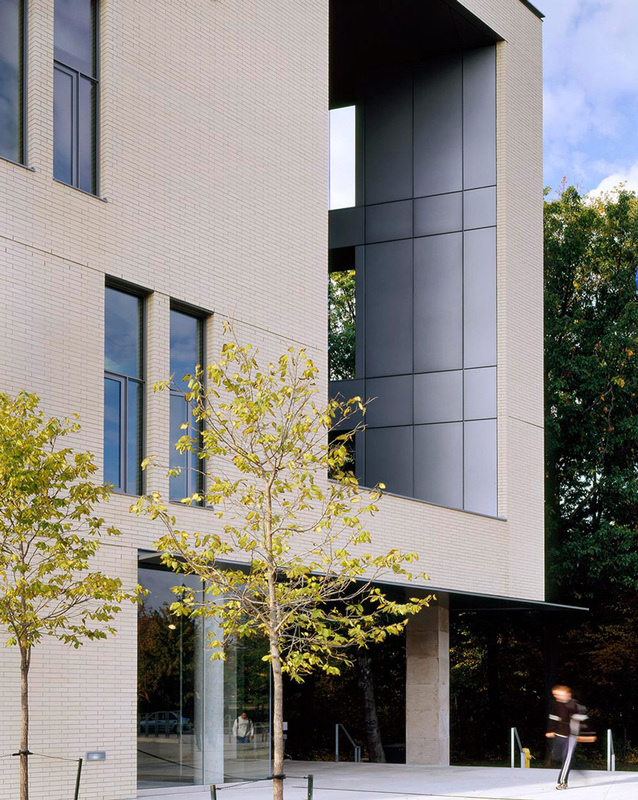 Together with a series of landscaping initiatives, these walkways transform a series of dreary and undefined outdoor spaces into attractive and accommodating courts and passages. 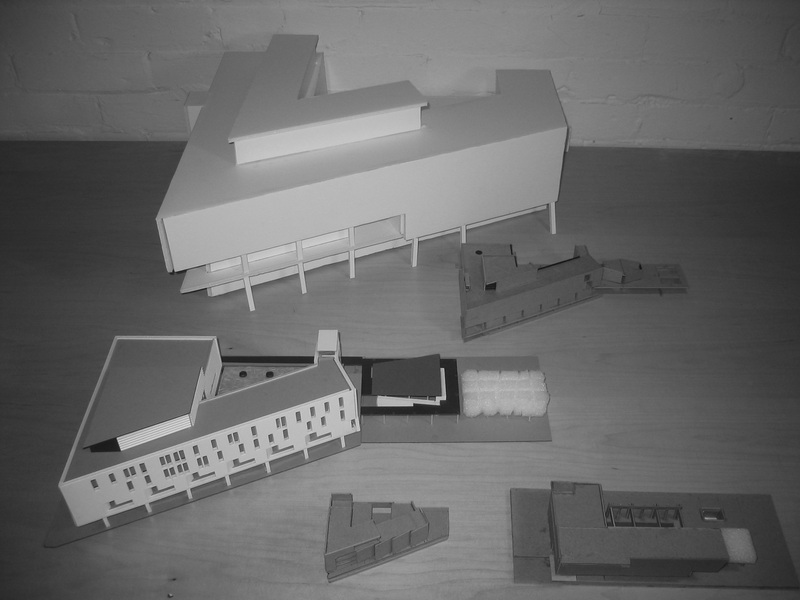 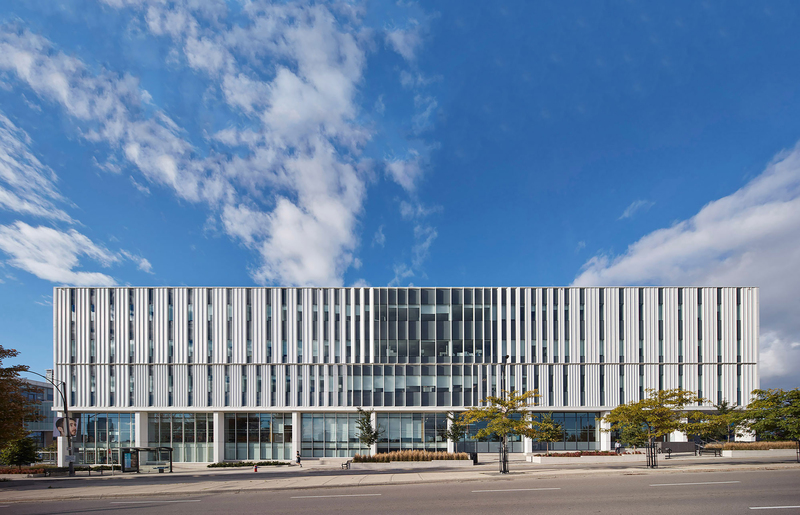 These channels also establish an intricate circulatory network that reinforce connectivity between Arts & Admin, the Science Wing, Bladen Building, Student Centre and beyond to create a more fluid campus fabric. 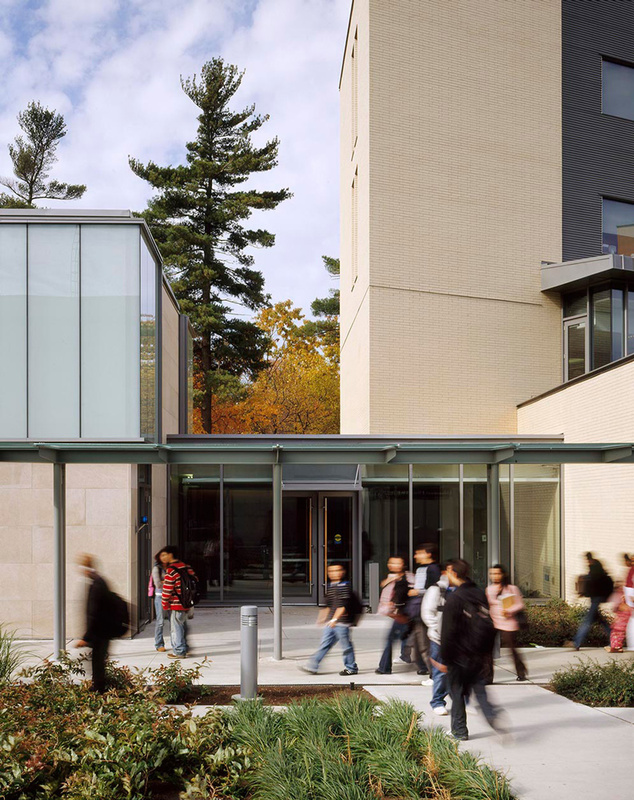 Designed to meet LEED Silver standards, sustainability was an important consideration for the Arts and Administration Building and is reflected in various levels of the design. 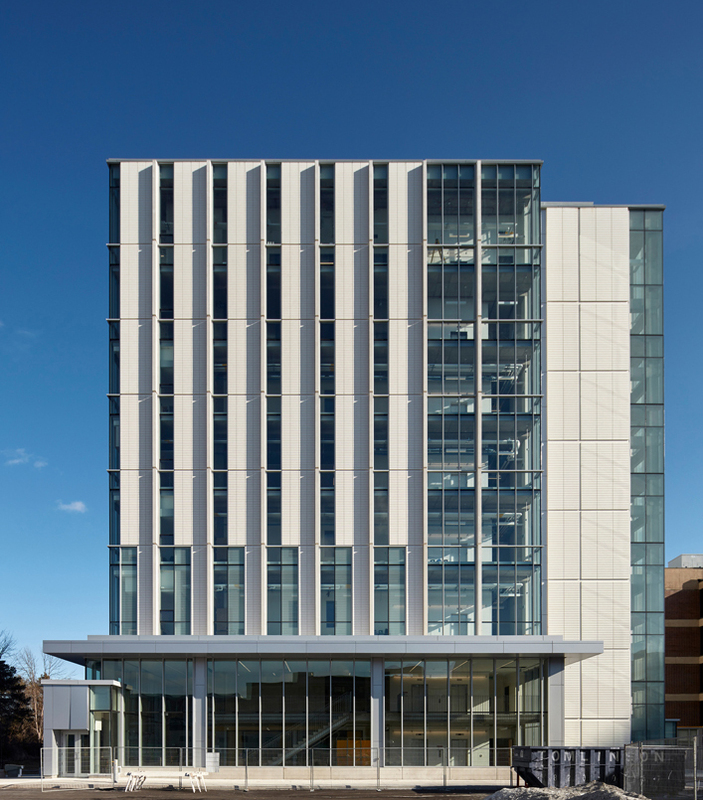 It continues to be among the most energy efficient building on the Scarborough campus.